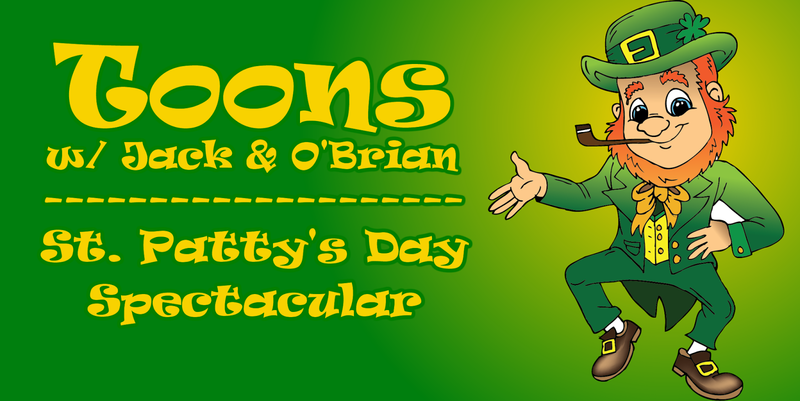 This Saturday night (That's March 14th, 2015) on Toons, Jack and Brian celebrate St. Patrick's Day the only way they know how: by drinking and reciting limericks. We've got a lot planned for this episode and we want to invite you to participate. Whether you want to be a guest on the show or send us your favorite traditions, memories or limericks, which we will read while silly drunk, simply use the contact form at the side of this page or the comment section at the bottom of this very post to let us know and submit your favorite masterpieces. Fáilte το an deireadh seachtaine!